Moscow is the most green megapolis in the world. There are over a hundred parks and green spaces like gardens, squares and boulevards. You will definitely bump into a few of them wherever you go. Whether you are interested in memorial, historic parks, parks of wildlife or you just want to have a calm break from the speedy city life – city parks have something special for everyone. 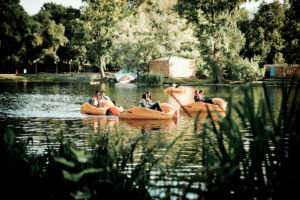 The leisure Moscow parks are undoubtedly the most popular and famous with the locals and travelers. Today such parks provide a great number of exciting entertainments for Muscovites and city guests, adults and children. 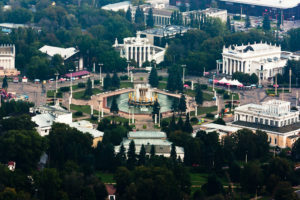 Gorky Park opened in 1928 and was the first holiday park in the Soviet Union with playgrounds, a sports stadium, exhibition halls and attractions for kids. Today it has a fresh, vibrant appearance. The park features bike rental stations, a comfortable business area with Wi-Fi, an outdoor movie theatre and a greenhouse where you can buy fresh greens such as basil and lettuce. To contemplate the sky and the stars, go to the observatory and look through the telescope while listening to fascinating stories from astronomers. Enjoy many sports in the park: volleyball, handball, football or a peaceful jog around the beautiful surroundings. Opened in September 2017, Zaryadye is the youngest on our list. Located just a few minutes away from Red Square, it includes various activities like the floating bridge with its thin V-form extension, an ice cave, also concert hall and an amphitheater. The entire territory of the park was divided into four zones of Russia: forest, steppe, tundra, and the floodplains. By walking along the Moskva River’s bank from the Gorky Park towards Vorobievy Gory (Sparrow Hills) you’ll reach Neskuchny Sad («Not Boring» garden), a wonderful place in the Moscow center, one of Moscow’s oldest parks, charming slice of wildlife. The park mostly consists of pristine forest, dotted with old summer pavilions, ponds and quaint little stone bridges. There are a lot of opportunities for different activities lots of children playground, a ping-pong and chess clubs, football fields and tennis courts, horse riding, tree climbing and having rest in one of the nice cafes. 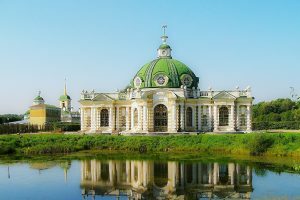 Hermitage Garden has always been known as an amusement, entertainment center with theatres, shows, cafes, summer pavilions, pergolas since 1830. 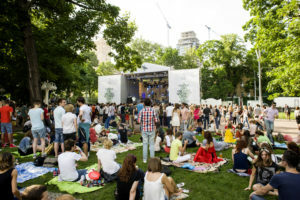 Shalyapin, Sobinov, Nezhdanova – great Russian opera singers starred on the garden stage. Famous Russian composer Rakhmaninov conducted the orchestra. Sara Bernar, Maria Yermolova, outstanding actresses, played in the open air performances. Tolstoy and Lenin had a stroll in the garden. So lots of celebrities from different epoques liked it a lot and spent their time in Hermitage Garden. You can find here three theatres in the garden: Hermitage, Sphere and New Opera. During winter an ice rink works here and in summer a musical stage is assembled to host jazz and brass band festivals. 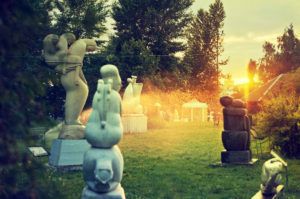 In Sokolniki Park visitors can play billiard, chess or draughts, table tennis, as well as go cycling, roller blading and swimming in the summer and ice skating or skiing in winter. 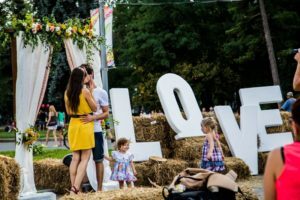 Each season is highlighted by special memorable and bright events, for example, Summer Jazz Festival or Baby Fest (for future mums), open air beach disco parties, Ice Cream Day, International Clown Festival and many other shows and exhibitions. The park has an observatory, kids center and a co-working zone with free Wi-Fi which is really nice for spending high quality work time there. The nature parks are national reserves with the amazing forestry and incredible variety of animals and plants there. The breath of wildlife and the chance to be closer to the virgin nature excites both children and grownups. 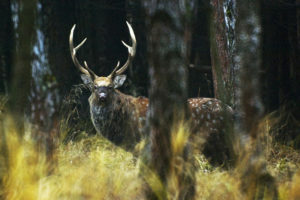 Hundreds of different species of animals can be found in Moscow nature parks. The richest woodlands with old and even ancient trees, like a 200 years pine-tree in the Elk Island National Nature Park, are the point of passionate interest for visitors. Aptekarsky Ogorod (Apothecary Garden) is one of the oldest gardens in Moscow. It was founded in the XVIII century by Peter the First (great Russian emperor). A larch that he planted himself still grows in the garden, so it’s more than 250 years old. 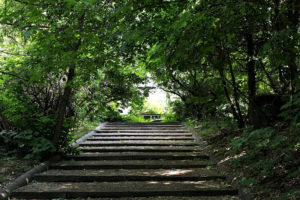 At the time of its foundation, it was a garden with herbs and medicinal plants and was used as an educational center for doctors. Today there are the orangery with its tropical palms, the carp pond, and the immense trees that dot the landscape and turn wonderful golden shades in the autumn. Several restaurants and cafes work here making it a very nice spot for relaxation no matter what season it is. You can book a special tour or join the guided excursion group. Losiny Ostrov (Elk Island Park) is located at the north of Moscow. It covers 22 km from the west to the east and 10 km from the north to the south and it’s one of the most beautiful national parks in Moscow. Two rivers, Yausa and Pechorka begin here. You can find lots of fields, ponds, meadows, streams in the park as well as elks. Here you can enjoy guided tours, available in English. You can choose a guided tour about flora and fauna of the area, you’ll learn why elks are there, which animals are their neighbors. 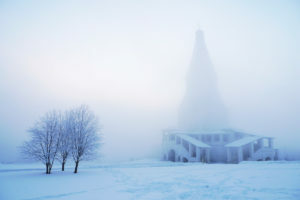 Or enjoy another excursion, which is totally devoted to historical past of ancient tribes once lived there, you’ll know about old Russian mythology, rituals and traditions. Serebyany Bor (Silver Forest) is a famous pine forest in the west of Moscow. The park has 230 forms of plant life, and is also home to watersports complex, providing a lot of activities for visitors. The layout of Serebryany Bor is unusual, as it is located on an artificial island between a meander in the Moscow River and a channel. There is an artificial lake, the Deep Gulf and picturesque Bezdonnoe (Bottomless) Lake in the depths of the forest. Serebryany Bor’s beaches are the cleanest in the city and very popular among Muscovites. On weekends it is difficult to find a free spot here, especially because a whole range of services are offered to visitors, from simple deckchairs to catamaran and yacht rides. Driving is prohibited on the territory of the island so be ready to use trolleybus to reach the entrance. Main Botanical Garden of The Russian Academy of Sciences is the largest and most famous is Moscow. The garden is a real museum of nature with a very rich (more than 18000 types) collection of plants. The park was founded in 1945 at the place of the 17th century Apothecaries’ Gardens. The garden’s collection is turned into botanical expositions, made with use of modern receptions of landscape architecture. 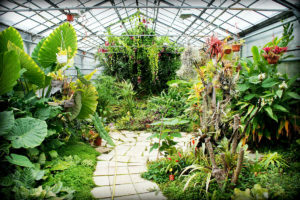 Here you can see a tree nursery, a shadow garden, hothouse complex, collection of flowers, a rosary, exposition of coastal plants, garden of continuous blossoming, Japanese garden and expositions of cultural plants and natural flora plants. The biggest part of Garden is the Tree nursery occupying the space of 75 hectares. About 2 thousand wood plants grow here. 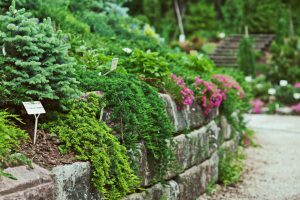 Another big exposition of the Garden is nature Flora, divided into six botanic-geographical collections: European part of Russia, Caucuses, Central Asia, Siberia and Far East. Pride of the Main Botanical Garden is the collection of tropical, coastal and water plants, which is considered as the best in Europe. The Japanese garden, a great model of Japanese landscape gardening art has a 13-level stone pagoda of the 18th century, stone Japanese lamps, ponds, falls and streams, tea lodges and more than 100 species of the most character Japan plants. It is especially decorative in spring, during Oriental cherry blossoming and in fall, when foliage blazes in crimson colors. 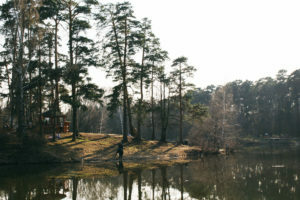 Historic nature parks and estates once were the mansions of the Moscow aristocracy. At that far times the estates were outside the Moscow city limits, but after the city expansion and urbanization, they became easily accessible. The chief attraction of the park is undoubtedly the stone Church of the Ascension of the Lord. It was constructed in 1532 by order of Tsar Vasily III to commemorate the birth of his son and heir, Ivan the Terrible. But there is a lot more to see in the park: the pretty Church of the Icon of Our Lady of Kazan – with its bright azure domes and plenty of gold. Further into the park there is a charming Church of the Beheading of St John the Baptist, built by Ivan the Terrible to mark his coronation. Kuskovo Park is one of the oldest country estates in Moscow. It was given to General Sheremetev by Peter the Great in 1715, but was left to fall into neglect before being plundered by Napoleon’s troops in 1812. Nowadays the estate has been restored to its former glory and is a good example of Russian 18th Century imperial architecture. The palace is a fine and rare example of wooden neoclassicism. It was completed in 1775, and the rich interiors remain unchanged since 1779. It includes a room hung with exclusive exquisite Flemish tapestries, an abundance of silk wallpaper and an impressive collection of 18th century European and Russian paintings. The palace looks onto the lake, which is surrounded by smaller pavilions: pretty Italian, Dutch and Swiss Cottages, Blank’s Hermitage and the old Orangery, where the State Ceramics Museum is located now, an extensive and absorbing collection of porcelain from the 18th century to the present day. On the other side of the lake is a large wood popular with local cyclists and joggers.